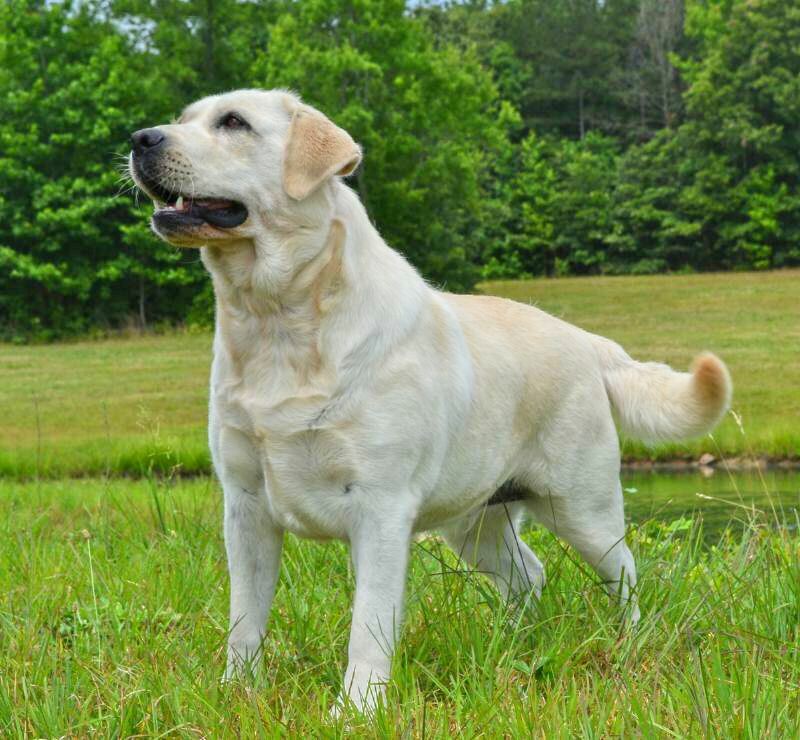 Billy is a handsome easy going yellow boy who loves to retrieve and loves the water. He will continue working for his Junior Hunter title after completing his AKC Championship. 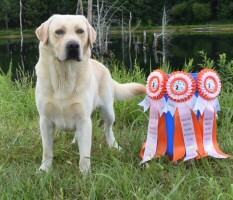 He easily earned his UKC Champion Title in 2017. 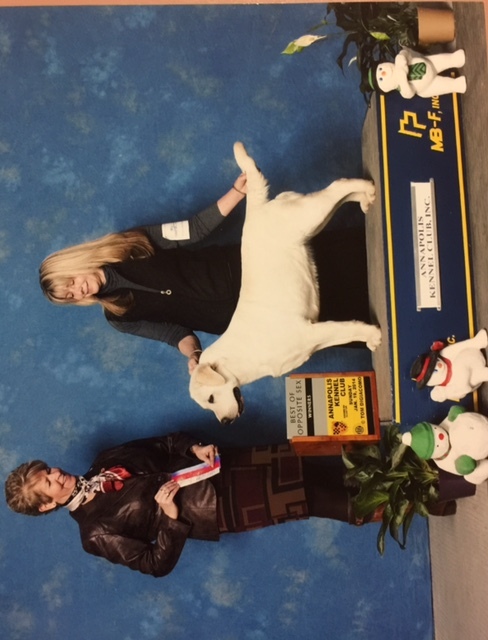 Last March (2017) at the tender age of 10 months, he won a 4 point Major and Best Puppy awards at the Maryland Sporting Dog Show. 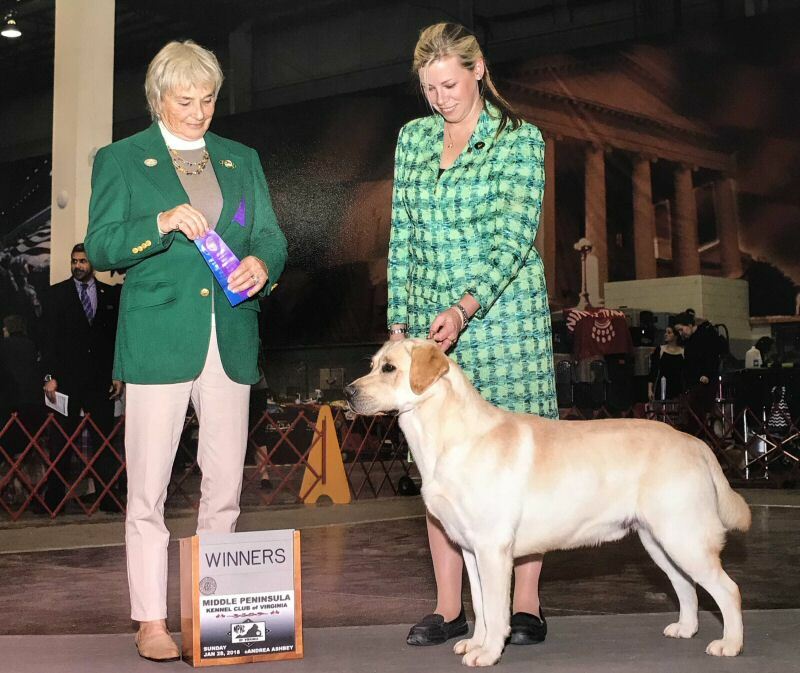 At the Middle Peninsula Kennel Club in January, 2018 show he went Winners dog, and has so far accumulated 9 points toward his championship. 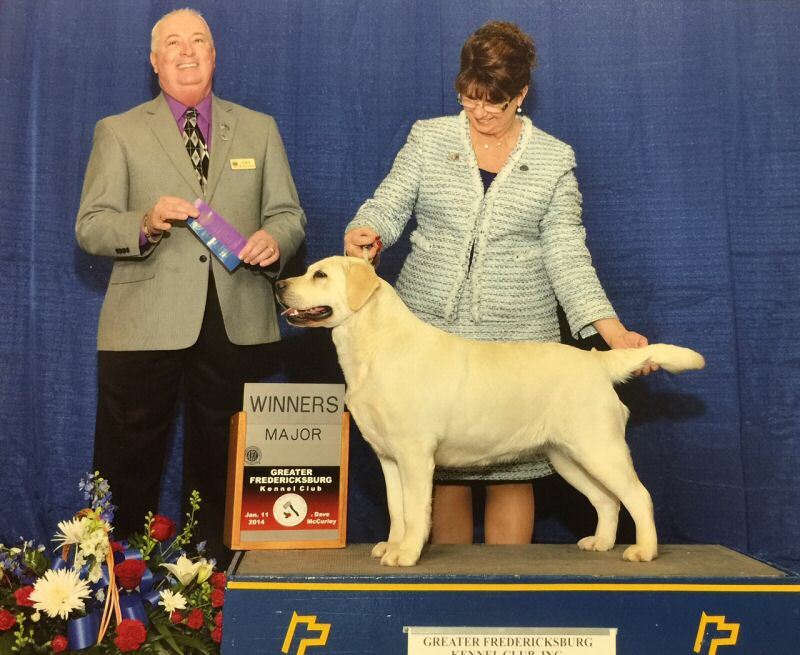 Squeezy is a Yellow English Labrador Retriever sired by GCH CH Robnie's Two Thumbs Up at Moonlit. 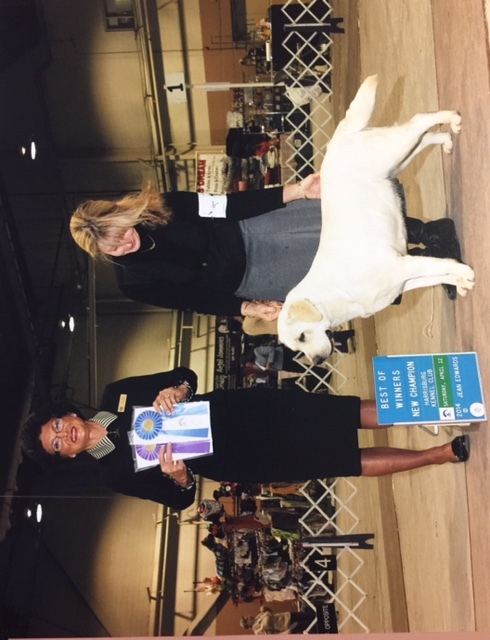 Her mother, GCHS CH Belquest Deep Run Easy Peasy was one of my top winning conformation Labradors with Multiple Group Placements and Best of Breed Wins. 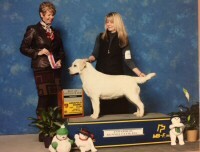 Easy Peasy was also BOS at the prestigious American Dog Show under respected judge Beth Sweigart. Squeezy herself has earned 186 Grand Champion points, including 23 Best of Breed and 23 Best of Opposite wins, most earned with Handler Kent Boyles. 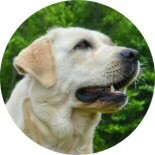 Squeezy is a sweet and happy dog, and loves being groomed up to look her best on show days. Squeezy is OFA Excellent, OFA Elbows, CAER, Full Dentition, OFA Patellas, OFA Cardiac, CNM and EIC clear, CHIC 104920. 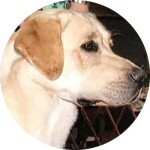 Here is a link to Squeezy's OFA page.